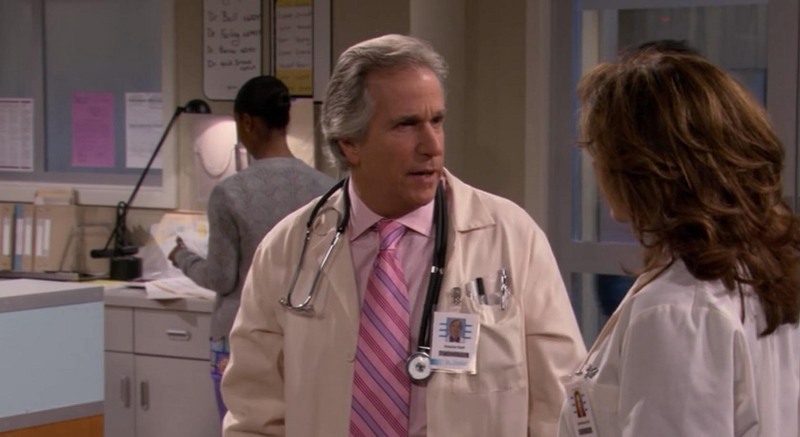 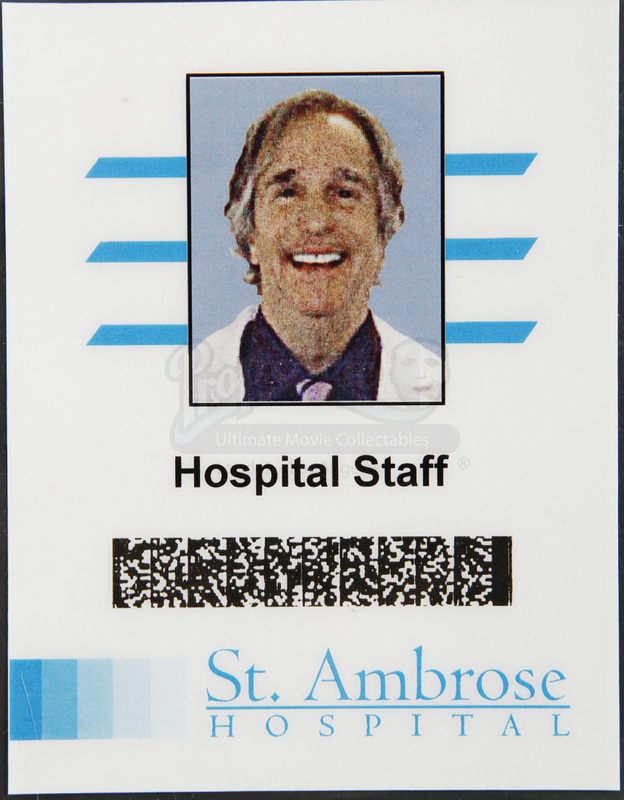 Dr. Stewart Barnes' (Henry Winkler) Hospital Badge from the 2005 comedy series, Out of Practice. 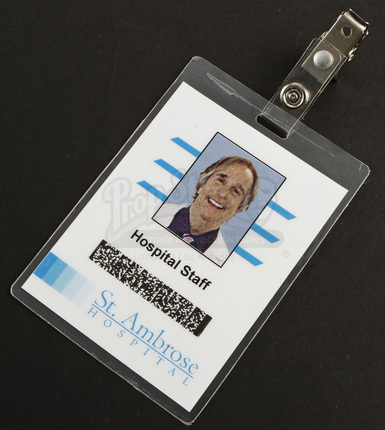 Dr. Barnes can be seen wearing a badge like this throughout the series as all hospital personnel were required to wear identification. This laminated pass features an image of Barnes with a bar code separating text reading "Hospital Staff" and "St. Ambrose Hospital." 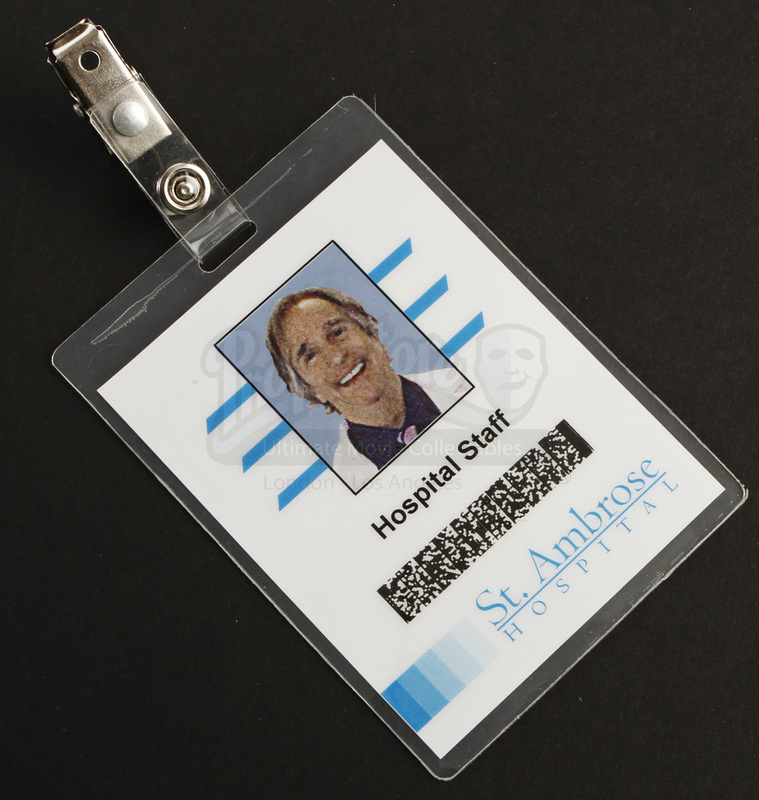 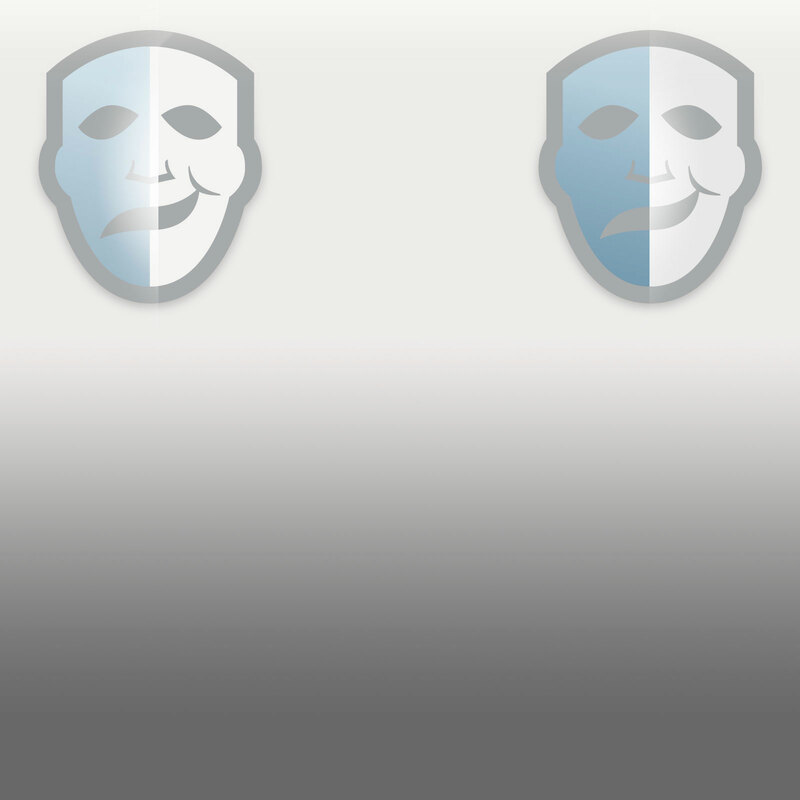 The item includes a metal badge clip that has been fastened to the top of the prop. 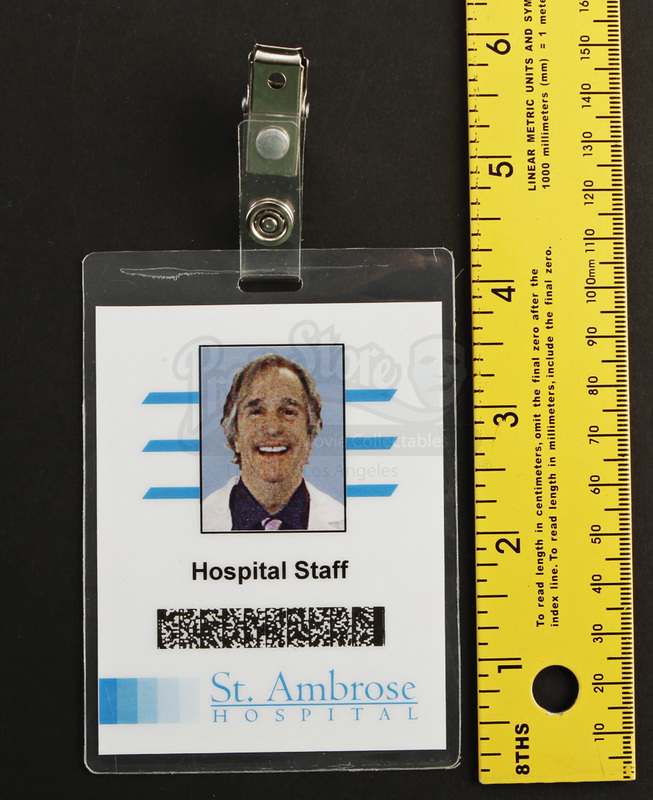 This item measures approximately 3" x 4" and is in good production worn condition.